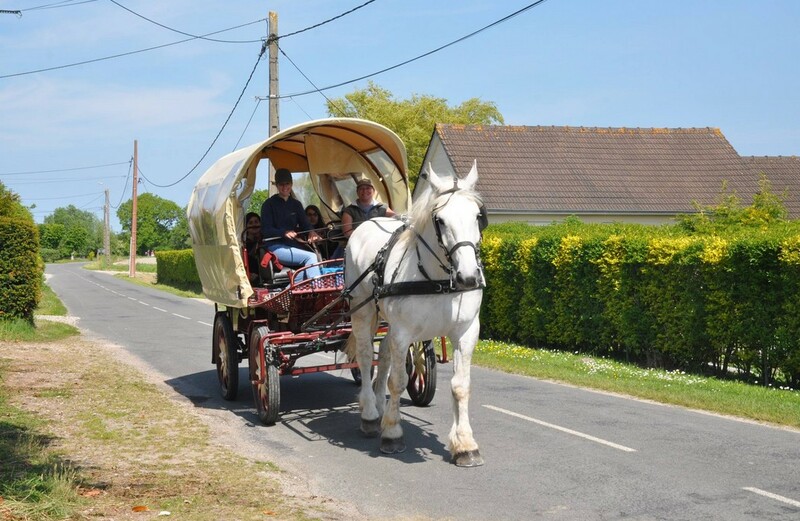 Guided tours around the Baie de Somme area in carriages drawn by Henson and other draft horses. After a warm welcome from your driver, get carried away by the horses. Near the beaches of Le Crotoy and Le Marquenterre, just 2 hr 30 min. from the Paris region, you'll love this lovely leafy countryside. Come and enjoy a relaxing outing with family, friends or in a group. The driver can tell you lots about the horses, the region, its plants and wildlife. Most departures from the Ferme Relais de la Baie de Somme, a lovely traditional house, dating from 1860, on the Remarkable heritage list. Trips through villages or along tracks on the plain, through forests or by beaches - perfect for nature lovers and those interested in local history. Group outings on request (two carriages required) - we can adapt outings to your requirements. Come and breathe fresh sea air right in the countryside.